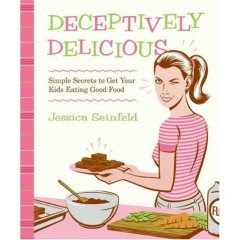 For my birthday my friend Abby gave me a copy of Deceptively Delicious. I can't rave about it enough. Okay, to be perfectly honest, I haven't had a chance to try any of the recipes, but every one of them looks awesome. The idea is that you make purees of certain fruits and vegetables, which should be pretty easy for those of us used to doing it for baby food, and then mix them in to foods in order to boost their nutritional value. I used to employ this technique ocassionally on a very small scale, hiding foods in sauces and stuff, but I was blown away at how much you can really do. Of course, we should all hold out hope that our little ones will eventually eat real, live vegetables in their whole form, but until then, we get sneaky! I still wistfully remember when Iris would ask for a bowl of steamed broccoli for a snack, now she won't touch the stuff. What gives? I have it, too, and if anything I love all the helpful info in the beginning and the back of the book- and I can't wait to start my purees! 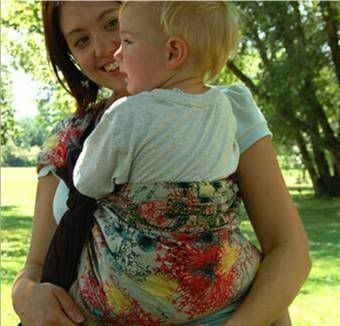 Well you know your next assignment. Get on a few of these recipes and report back to us! Little does Mama-San know, but I have been hiding Lima Beans in every dish I've served her for the last three years. I keep hearing about this. I agree with frogs mom you have to try some recipes and give us a report. I just got that book. Looks yummy, doesn't it? I love the yogurt popsicles. yum! If you try anything good from it let us know, will ya?